Treat soft tissue injury and pain with this valuable reference's highly detailed illustrations, in an oversized 12 x 15 flip chart format! 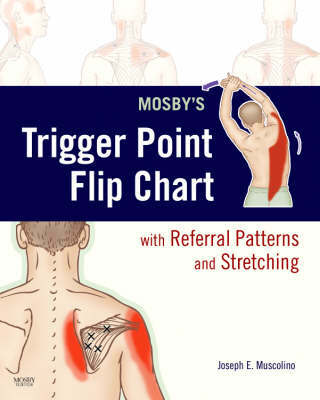 Each page includes 6-8 full-color illustrations that show trigger points and referral patterns to aid in treating clients. Plus, specific stretches for each muscle help you treat and educate patients more effectively. With a built-in cardboard stand, this flip chart is ideal for use in practice or in the classroom.